The last big day for primaries resulted in overwhelming wins by Donald Trump and Hillary Clinton. It also resulted in the end of Marco Rubio&apos;s presidential campaign. Today is a quieter primary day as Wisconsin heads to the polls. Donald Trump, whose YUGE following continues to rally behind him for "telling it how it is" and "saying what everyone is thinking" (like how women should be punished for abortions), wasn&apos;t polling well in Wisconsin ahead of its primary. Part of the reason why is his put down of one-time opponent, the very popular (with an 80 percent approval rating) Wisconsin Gov. Scott Walker. Walker recently endorsed Trump&apos;s (only) competitor—Sorry, John Kasich—Ted Cruz. Will Trump be able to pull out a win to widen his lead despite odds? He did make it further than anyone anticipated. On the democratic side the primary&apos;s result is expected to be a close call. Hillary Clinton has been feeling the pressure from Bernie Sanders&apos; current momentum after his sweep of three democratic caucuses, all three of which he won by large margins. 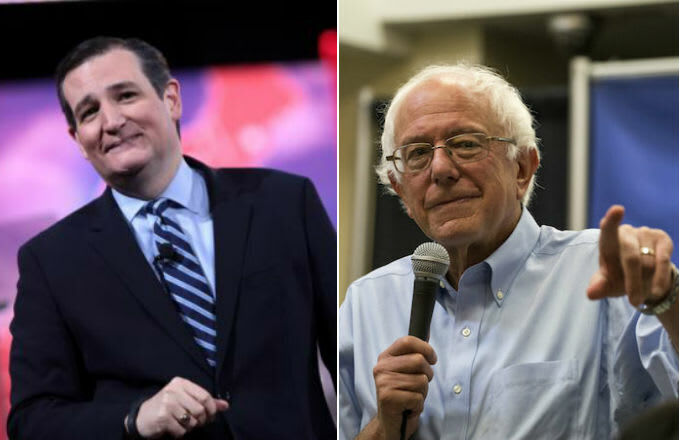 The two candidates announced they will be facing off again in a ninth democratic debate they agreed will take place in Sanders&apos; native Brooklyn, New York on April 14 ahead of the New York primary April 19. Clinton has history in New York serving as a two time senator, but if Sanders&apos; massive rally last week in the Bronx is any indication maybe New York&apos;s outcome won&apos;t be as predictable as first thought.